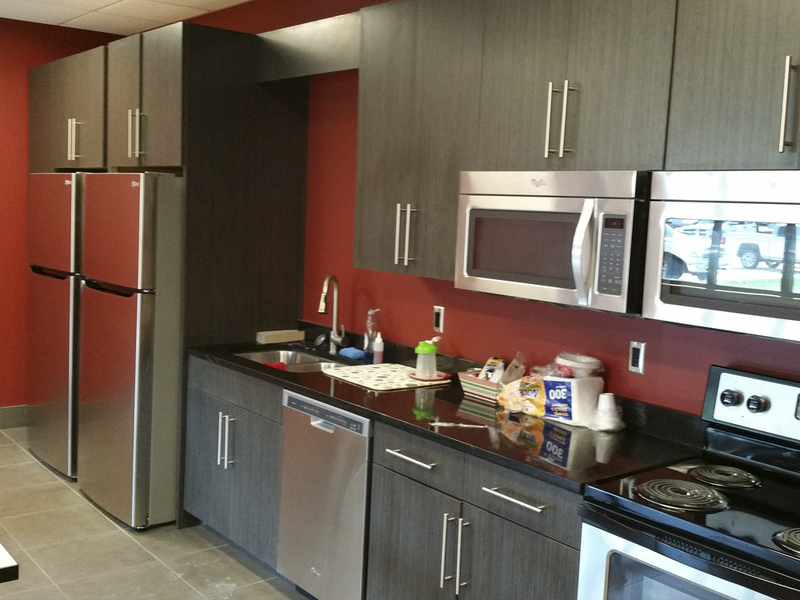 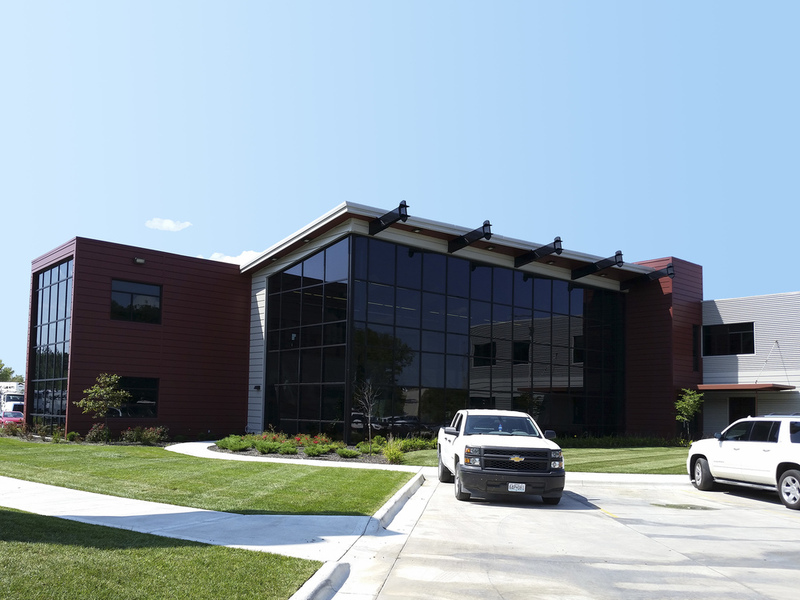 This two story office building was a successful design-build project between Tevis Architects and KCK Construction Services. 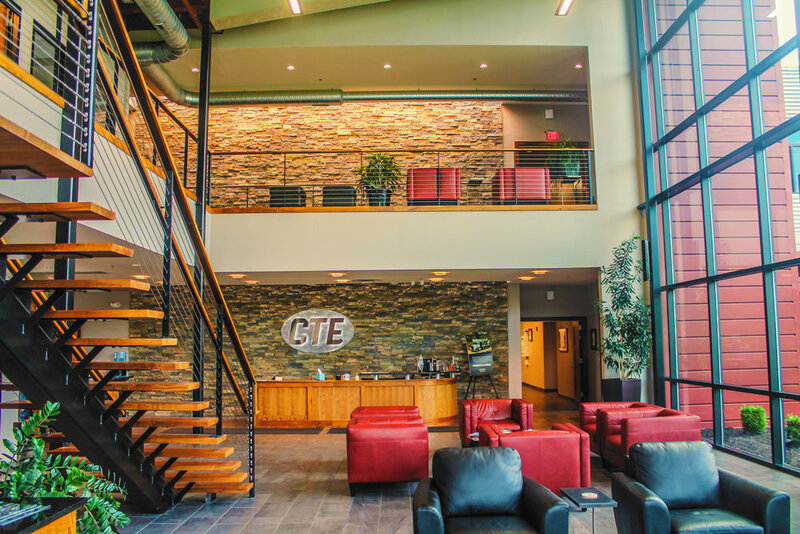 It is a steel framed building containing of a sales floor, conference rooms, private offices, and features a two story open atrium. 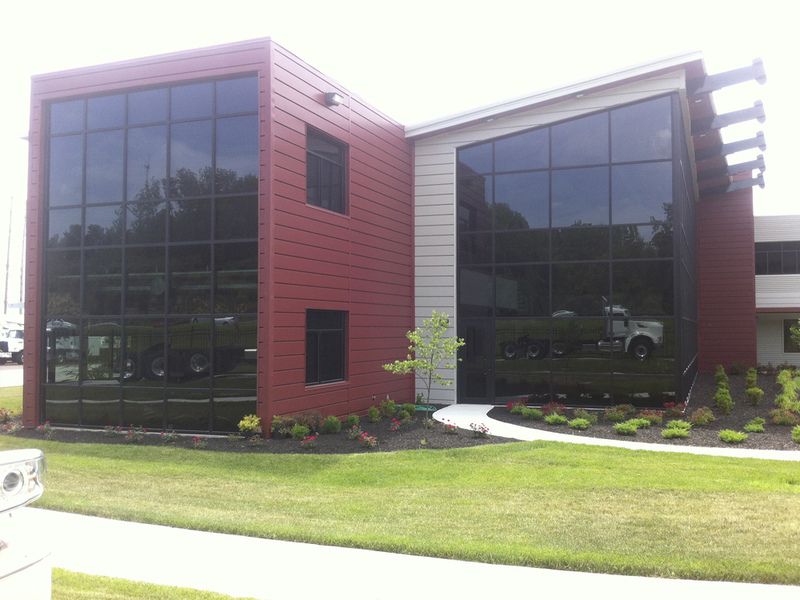 The office building fronts I-435 and provides the corporate identity for Custom Truck and Equipment LLC.